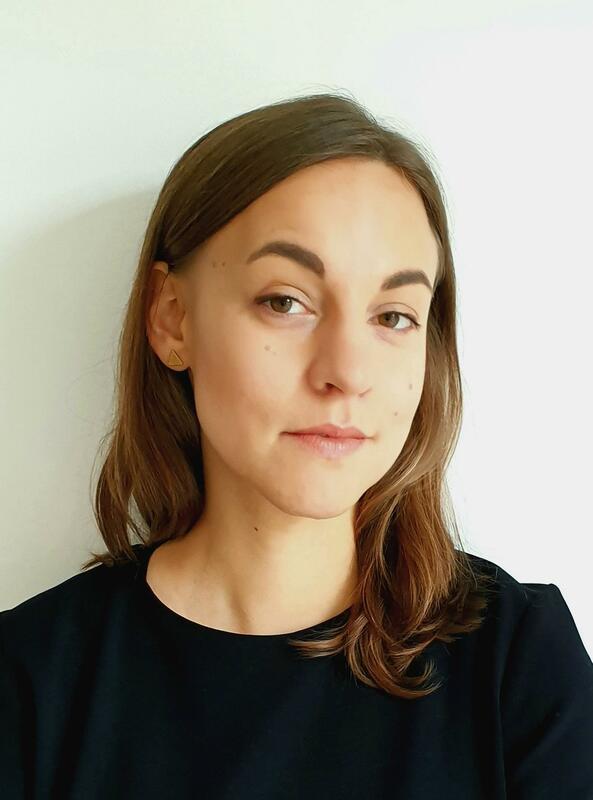 Stefanie Gerold studied Economics (BSc), and Socio-Ecological Economics and Policy (MSc) at WU Vienna, and Political Science (BA) at University of Vienna. Between 2015 and 2016, she was working as a research assistant at SERI (Sustainable Europe Research Institute). In 2016, Stefanie started her PhD at the Macroeconomic Policy Institute (IMK) of the Hans Böckler Foundation, and at the Institute for Ecological Economics (WU Vienna). In her PhD she focuses on employee preferences for shorter working hours, various firm models for working-time reduction, as well as inequalities in working hours and income. In October 2018 Stefanie started working at the Department of Applied Sciences/Economics and Sustainable Consumption on the research project “ReZeitKon” (Time Rebound, Time Prosperity and Sustainable Consumption). Gerold, S., Nocker, M. (2018). More leisure or higher pay? A mixed-methods study on reducing working time in Austria. Ecological Economics 143, 27-36. Gerold, S., Soder, M., Schwendinger, M. (2017). Arbeitszeitverkürzung in der Praxis. Innovative Modelle in österreichischen Betrieben. Materialien für Wirtschaft und Gesellschaft 43/2, 177-204. Gerold, S. (2017). Die Freizeitoption: Perspektiven von Gewerkschaften und Beschäftigten auf ein neues Arbeitszeitinstrument. Österreichische Zeitschrift für Soziologie 42/2, 195-204. Aigner, E., Gerold, S., Kreinin, H. (2018). Sustainable Work. In Lutter, S., Luks, F., Stagl, S. (Eds. ), Towards a Socio-Ecological Transformation of the Economy. Background Report for “Growth in Transition”. Vienna, 75-89. Gerold, S., Nocker, M. (2015). Reduction of Working Time in Austria. A Mixed-Methods Study Relating a New Work Time Policy to Employee Preferences. WWWforEurope Working Paper 97. Gerold, S., Hinterberger, F., Stocker, A. (2015). Beschäftigungs- und Umweltauswirkungen einer Arbeitszeitverkürzung. Hintergrundpapier für die Arbeiterkammer Niederösterreich. Stocker, A., Gerold, S., Hinterberger, F. (2015). Auf der Suche nach einem neuen Wohlstandsmodell. ExpertInnenmeinungen zu den Gestaltungsmöglichkeiten in den Bereichen Arbeit – Ressourcen – Wettbewerbsfähigkeit und Innovationen. Reihe „Zukunftsdossiers“ No. 5., Ministerium für ein lebenswertes Österreich. Pirgmaier, E., Gruber, J., Gerold, S., Stocker, A. (2015). Alternative Wirtschafts- und Gesellschaftskonzepte. 2. und erweiterte Auflage. Reihe „Zukunftsdossiers“ No. 3a. Ministerium für ein lebenswertes Österreich. Stocker, A., Gerold, S., Gruber, J., Hinterberger, F. (2014). Wachstum und Verteilung. Policy Paper Serie „Wachstum im Wandel“. Ministerium für ein lebenswertes Österreich. Stocker, A., Schanes, K., Gerold, S., Jäger, J. (2013). Linking Policy and Science for Sustainable Innovation. Background paper for the 3rd EU Dialogue on Sustainable Consumption and Economic Growth, project RESPONDER, 10-11 October 2013, Brussels. Gerold, S., Stein, U. (2018). Inequality of working hours, income inequality, and the role of collective bargaining in Germany. Talk presented at the 22nd Conference of the Forum for Macroeconomics and Macroeconomic Policies (FMM), 25-27 October, Berlin. Gerold, S., Aigner, E. (2018). (Post)Work and (De)Growth. Talk presented at the 6th International Degrowth Conference, 21-25 August, Malmö. Gerold, S. Gerold, S., Soder, M. (2017). Killing three birds with one stone? Investigating the effects of a working-time reduction policy on well-being, gender and the environment. Talk presented at the 12th International Conference of the European Society for Ecological Economics (ESEE), 20-23 June, Budapest. Gerold, S. (2017). Die Freizeitoption in österreichischen Kollektivverträgen. Talk presented at „Gute Arbeit ohne Wachstum?“ Tagung Evangelische Akademie Tutzing, 15-17 May, Tutzing. Gerold, S., Soder, M., Schwendinger, M. (2016). Innovative schemes for working-time reduction in Austria: Barriers and opportunities for a successful implementation. Talk presented at the AK Young Economists Conference, 4-5 October, Vienna. Gerold, S., Nocker, M. (2014). Reduction of Working Time in Austria. A Mixed-Methods Study Relating a New Work Time Policy to Employee Preferences. Talk presented at the 26th Annual Conference of the European Association for Evolutionary Political Economy (EAEPE), 6-8 November, Nicosia. Gerold, S., Nocker, M. (2014). Reduction of Working Time in Austria. A Mixed-Methods Study Relating a New Work Time Policy to Employee Preferences. Talk presented at WSI-Herbstforumm 27-28 November, Berlin.